Skolt Sámi culture close to nature The heart of the Skolt Sámi culture based on natural lifecycle beats in Sevettijärvi. 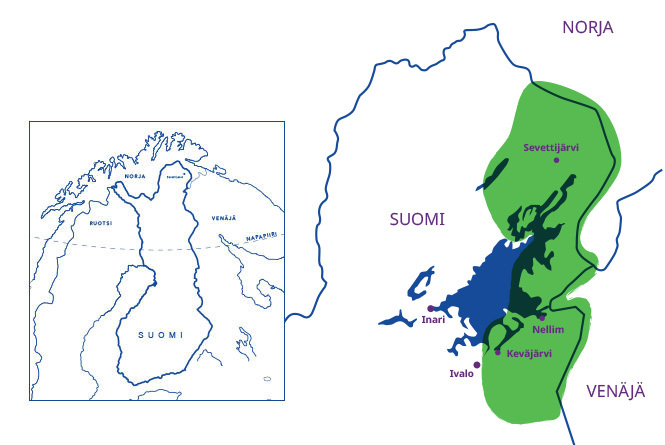 Fascinating Skolt Sámi The severely endangered Skolt Sámi language is spoken by only around 300 people in Finland. Skolt Sámi Village Committee The Skolt Sámi system of self-governance and its most important decision-making body. For tourists Local way of life and experiences of Skolt Sámi culture. Take a look at tips for tourists. Skolt Sámi Foundation Skolt Sámi Foundation is an active actor in the feald of Skolt Sámi culture. The Skolt Sámi Cultural Centre We have a dream! For more information, click here. April 24, 2018 Blog #2: Roots of Memory – revitalizing a traditional Skolt Sámi root-sewn boat Sámi Museum Siida and the Sámi Education Institute began a collaborative project in Fall 2014, which made possible the construction of a traditional Skolt Sámi root-sewn boat together with Skolt Sámi people in Sevettijärvi. November 9, 2017 Blog: Mr Hiphop in Sevettijärvi Lokin Spark is a man from Hong Kong, who is aprofessional dancer with a passion for hip-hop dance. What does this guy have to do with the Skolt Sámi Cultural Foundation’s new blog?